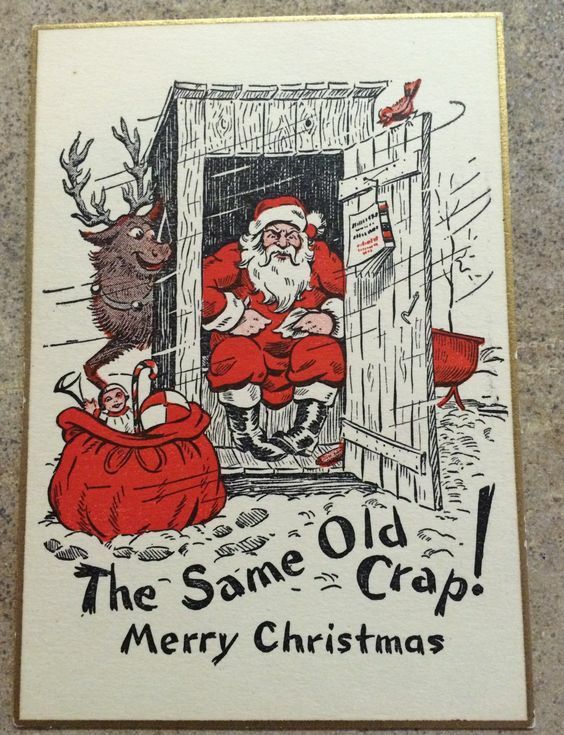 Simply throwing all Christmas cards into the bin unopened could save you up to four hours this Christmas, it has been claimed. Time-saving expert Martin Bishop believes a million hours of festive fun could be gained nationally by putting cards straight in the recycling after squeezing them for possible money. He said: “I hate to say ‘one weird trick’ but you take those cards and stick them in the shredder, like Santa does with the kids’ lists, and you’ll feel a real weight off your shoulders. Bishop added: “You really don’t need to read Christmas cards, unless you especially like generic poems about robins and bells with a token greeting scribbled underneath. The ones hand-made by children or pensioners are especially poor. Bah Humbug with baubles on ! Well, it wont save me much time. We've had 2 so far.They were filed in the WPB. And the next person who asks if I've got my Chrissie Deckies up may find him/herself in the bin, too! Oh, have a happy Christmas!